There is no greater feeling than leaving a salon knowing you look fabulous. 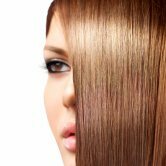 That is why the stylists at Hott Heads Salon keep up to date on the latest industry trends and techniques. We want you and your hair to look its best, so we give you the perfect cut and color. Hott Heads is a full-service hair salon serving Fayetteville & Hope Mills NC. We offer our clients a variety of services. 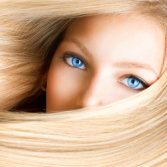 We also offer Brazilian Blowouts that are complete with take-home products and Awapuhi treatments. Hott Heads Salon is a Paul Mitchell Signature Salon with stylists that are also certified in Matrix. We serve Fayetteville, Hope Mills, Fort Bragg, and the surrounding communities. Say the right thing with your hair. 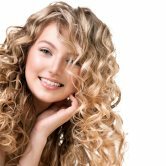 Whether you need a hot new hair style or just a trim, visit a Fayetteville, NC hair salon with sophistication—visit Hott Heads. Call us at 910-423-4688 to schedule your appointment today. Welcome to Hott Heads! Where we are Rockin one Hott Head at a time in Fayetteville and Hope Mills. Hott Heads is a family friendly hair salon who serves to everyone in Fayetteville, Hope Mills and surrounding areas. 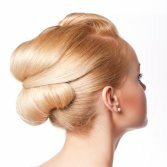 Our professional stylist are fully trained and certified on all the current trends and are always striving to make Hott Heads the best salon in Fayetteville and Hope Mills. Visit our hair salon today and let us take care of all your hair care needs. For an appointment call 910-423-4688.